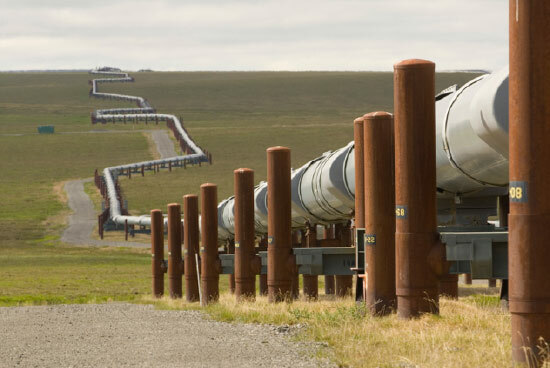 You can watch it produce for Alaska – oil tax reform. To read Tim Bradner’s explanation, click here. It’s been another tough year for those whose paychecks come from the oil patch but 2017 brought its share of hope and excitement for the future. The year started on a high note when ConocoPhillips announced Willow, a promising new oil discovery in the National Petroleum Reserve – Alaska (NPR-A) that could produce 100,000 barrels of oil/day over the next five to six years. NPR-A has been extraordinarily productive for ConocoPhillips, which plans up to five exploratory wells this winter. Armstrong continues its exploration of the Nanushuk prospect with a winter drilling program as it wends its way through the Environmental Impact Statement (EIS) progress. Nanushuk is tucked between ConocoPhillips’ Alpine and Kuparuk River fields. The huge Nanushuk prospect in the Pikka Unit is expected to produce upwards of 120,000 barrels per day of conventional light oil at its peak. The North Slope welcomed another new player when Australia’s Oil Search Ltd. agreed to buy three oil blocks for $400 million from Armstrong and GMT Exploration, giving it a roughly 26 percent holding in the Nanushuk play, co-owned by Spain’s Repsol. Oil Search also has an option, until June 2019, to purchase all of Armstrong and GMT's remaining interest in the Pikka Unit and the Horseshoe Block, as well as additional interest in the adjacent exploration acreage and in the Hue Shale, for $450 million. Hilcorp’s Liberty Project wrapped up the public comment period on the draft EIS. Liberty would be the first oil development in federal waters in the Beaufort Sea and could add 60,000-80,000 barrels of light oil to TAPS each day. Hilcorp is also progressing Moose Pad, the first new pad at Milne Point in years. This $400 million project will support up to 40 new wells that will produce 10,000-15,000 barrels of new production a day. Just west of Milne, Eni is preparing to spud Nikaitchuq North, at 34,000 feet, the longest, extended reach well on the North Slope. Making land available to exploration is key to future production and this year, for the first time since 2008, the federal government held its first lease sale in Alaska waters since 2008. Hilcorp walked away with 14 Cook Inlet Tracts for $3 million. This week, the feds offered additional acreage in NPR-A, while the state held its North Slope areawide lease sale. ConocoPhillips and its partner Anadarko won seven tracts near Willow for $1.2 million. The state sale was one of the largest in the last two decades, with the state earning almost $20 million. Smaller bidders went after tracts near ANWR while Repsol added acreage near its huge Pikka find. This was also a year where historic gains made in oil production were almost lost due to legislation backed by some members of the Alaska Legislature to fill the budget gap on the back of the state’s most important industry. House Bill 111, sponsored by the House Resources Committee, would have spiked taxes on oil and gas companies, resulting in short-term gains in revenue, but at a long-term cost of falling oil production, layoffs and lost economic opportunity and growth across the state. What unfolded was a hard-fought political battle waged over the course of the regular session and three special sessions. The final version of the bill, signed into law last July and passed along strong bipartisan lines, reformed Alaska’s tax credit program and slightly increased taxes, but left out the most onerous parts of the bill. But the continued battle over tax policy, the inability of the state to pay its tax credit liability and the loss of assistance for new players hurt small independents like Caelus. The company had to cancel its drilling program in Smith Bay because its “Outside investment has dried up.” Smith Bay is the largest discovery since Kuparuk. The struggle to keep a stable tax system did not end with the passage of HB 111. Tucked inside was formation of a legislative working group to evaluate Alaska’s fiscal system for oil and gas taxes. Its title is the House Legislative Working Group on Oil & Gas and its mandate is far from simple: make recommendations to the Legislature on the state’s oil and gas fiscal system. The working group held its first meeting in October. “I’m really interested in looking at something that could function more independently of price, in contrast of what we have now where most of the levers are linked to the price of oil,” Co-chair Geran Tarr told Petroleum News. Working group members from the House include Rep. Andy Josephson (D-Anchorage), Rep. Dean Westlake (D-Kiana), Rep. Jason Grenn (I-Anchorage), and Rep. Dave Talerico (R-Healy). Joining Giessel on the panel are Sen. Bert Stedman (R-Sitka), Sen. Natasha von Imhof (R-Anchorage), Sen. Peter Micciche (R-Soldotna) and Sen. Bill Wielechowksi (D-Anchorage). Click to watch the first meeting of the working group. One of the working group’s first tasks was to hold an Oil and Gas 101 that was entitled Introduction to Petroleum Fiscal Systems taught by two of the subject matter experts that consult with the Legislature: In3nergy and Palantir. The course covered basic oil and gas terms and fiscal policies around the world as well as in the contiguous U.S.
As of today, no further meetings have been scheduled. We will keep all of you up to date on the working group’s activities and provide access to the group’s recommendations due when lawmakers reconvene in Juneau on January 16. KEEP Alaska Competitive supporters stepped up in 2017 and urged their legislators to support a durable, sustainable and balanced state fiscal plan, authored opinion pieces or letters to the editor and engaged positively in our social media effort by liking and sharing our Facebook posts with colleagues, co-workers, friends and family. We are making a difference. KEEP Alaska Competitive will continue our grassroots effort to educate and inform our supporters, elected officials and the public about the critical issues facing Alaska’s economy and its largest taxpayer – the oil industry. Production and investment are heading in the right direction – let’s stay the course for a growing and vibrant oil industry.